The sections below allow you to easily view all types of content, spreadsheets, Microsoft Word, Powerpoint – so that you do not need to have the relevant program to view the content. You can still download the original file by clicking on the link below each document. 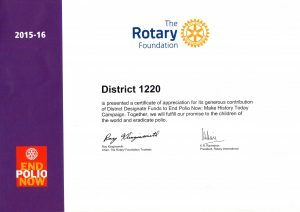 INTRODUCTION TO ROTARY GRANTS IN DISTRICT 1220 FOR 2018 -19. The District 1220 Foundation Grants Information Pack for 2018 -19 (below) provides an introductory overview, explains how funds are allocated and contains all the documentation for making a proposal and application to the District. The Grants Information Pack above contains all the following documentation forms which are also available individually from the following links for your convenience. 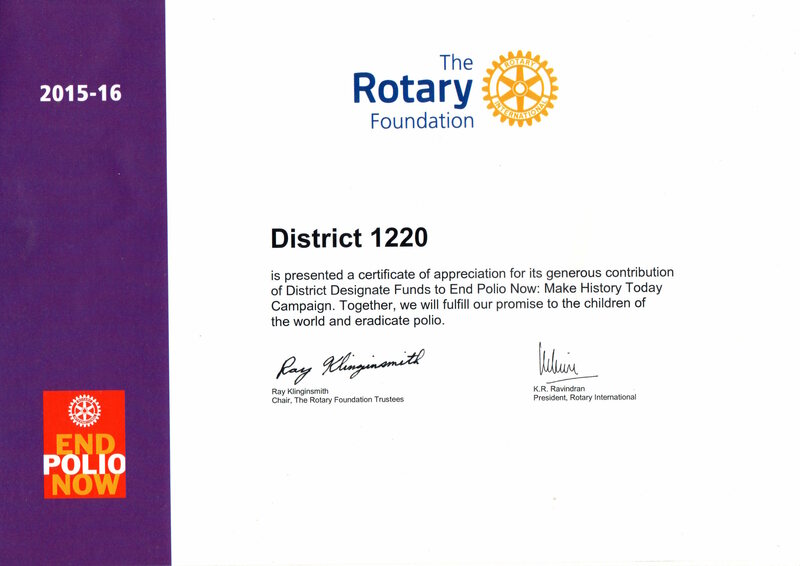 The District 1220 Foundation Grants Information Pack is very comprehensive but The Rotary Foundation Terms and Conditions also apply to all District 1220 Grant activity and can be downloaded from the following link, if required. The following frequently asked questions (FAQ) sheet may also be helpful to read prior to starting a grant application proposal. 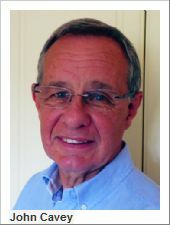 It does what it says on the tin but do not hesitate to contact the Grants Sub-committee for guidance – their details are in the District Directory. There is a wide range of Scholarships available from the Rotary Foundation and the following links provide an overview.